When will TurboTax for 2016 be Released and Available? Posted January 4th, 2016: For all taxpayers who want to file the taxes as soon as possible there is some good news. The federal portion of TurboTax 2016 (to file 2015 income tax) is ready, but we are still waiting for the state portion in order complete the returns. If filing taxes in Canada, TurboTax Canada has also just been released with the CD/download versions now available and the online version will be available in mid-January. Intuit made TurboTax 2016 available in mid-November for desktop CD/download edition and early December for the online edition. Filing state taxes will become available soon and the expectation is the product to be ready as early as mid-January. States are still putting the latest law changes into action affecting the final version of its tax code. There are many variables that go into a decision of filing taxes on your own or having them prepared by a tax professional. If you decided to prepare tax return on your own, there is very little that stands in your way. 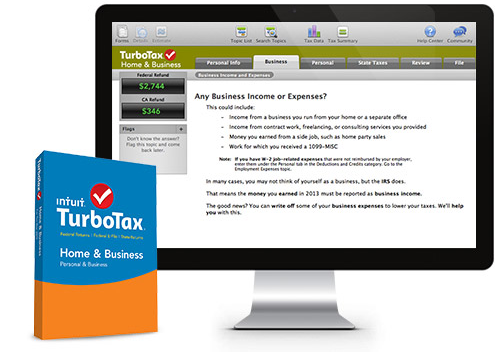 For starters, the fastest way is to file tax returns is by using TurboTax online version. All you need is an email address and you’re ready to start providing the required information. I have been using TurboTax online for 3 years now. The first time is usually more laborious because it’s a fresh start and most information has to be entered from scratch. Starting in the second year, you enjoy the benefit of having your personal information transferred from the past returns and you’re only required to verify its accuracy. And even for the first time users, TurboTax can import your W-2s or 1099s from hundreds of institutions (over a million per TurboTax last count) and populate a lot of personal information for you. The simpler the tax return the easier it is to get through the entire process with minimal effort. Individuals who file uncomplicated tax return can get it done for free and with most information automatically imported, your job is to verify that everything is correct. More complex tax situation require more hands on involvement. A positive side effect of this effort is a better understanding of what is reported on your tax returns and how different aspects of your life affect your taxes. TurboTax was designed to lead you through the entire process of fling taxes in the simplest way possible. You answer questions regarding your life and professional situation and the software checks all the applicable credits and deductions. Interface will not confuse you and the focus is on one issue at the time. You can pause your work at any time, save it, and return at the better time. One other added benefit of trying TurboTax is that you don’t have to pay anything until you are ready to file taxes. There is no risk in trying; you don’t have to spend any money to get the feel for the software. Once you begin, TurboTax will ask you a series of questions in order to recommend the best product to capture all the tax scenarios. From that moment on your only cost is the time you put into the preparation of your tax returns. Once you get through the process and decide you are comfortable filing the return, that’s when you make a payment. If you’re dissatisfied, just walk away. No foul, no harm.